The proposed electricity tariff increase by ZESCO, the Zambia Electricity Supply Corporation will increase the cost of doing business. 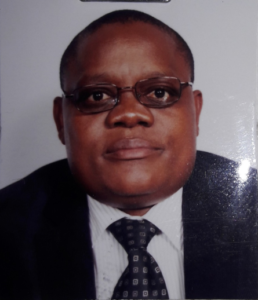 This is according to EPCCI, the Eastern Province Chamber of Commerce and Industry President, Thomas Mtonga. Mr. Mtonga told Breeze Business News that the tariff increase will also push up the prices of services and goods, which will eventually have an effect on the economy. 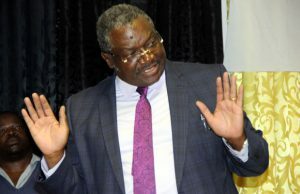 He says that although the power company has broken down the 75 per cent proposed tariff adjustment, the phases are still high for ordinary Zambians to contain. Mr. Mtonga says that the 50 per cent increase in May and 25 per cent increase in September puts the business community in an awkward situation. He says that ERB, the Energy Regulation Board should advise ZESCO to break down the proposed percentage further to make electricity affordable. Meanwhile some Chipata residents have completely condemned the proposed electricity tariff increase saying that it should be rejected. Boniface Mbewe of Sido Compound in Chipata says that Zambians are already struggling with high cost of basic commodities and should not be made to suffer further. The Forum for Democracy and Development FDD in Eastern Province has backed the expulsion of former party Vice President Chifumu Banda. This is according to a press statement availed to Breeze News by Provincial Information and Publicity Secretary Emmanuel Chamango and Provincial Chairlady Alice Ndemena. Mr. Chamango and Ms. Ndemena say that despite Mr. Banda being vice president since 2005, he has not been active in party programmes and activities. The duo has charged that these are among the reasons why Mr. Banda lost the August 11 general elections when he contested as Member of Parliament for Chasefu Constituency. They say that the FDD in Eastern Province does not need leaders who go to sleep in times of trouble but cause confusion in the name of calling for a convention. But Mr. Banda has refused to recognise his expulsion stating that procedure was not followed when expelling him. Poor infrastructure in tobacco floors has forced JTI, Japan Tobacco International to set up a floor within the company premises. JTI Lead Production Manager Peter Chibale says Mugubudu and Kapara floors have poor infrastructure and sanitation while safety is also compromised. Mr. Chibale says the floor at Mugubudu is situated along a busy road, which may result into accidents while toilets are dirty. He was speaking yesterday in Chipata during the JTI Tour of Chipata operations. Meanwhile Corporate Affairs Manager Litiya Matakala has bemoaned lack of dialogue between JTI and government on matters of policy on tobacco. Mr. Matakala says government is not coming out on the way forward especially on natural resource management so that the company knows which way to go. He says that there is need for the company and government to discuss on the best ways of addressing issues in relation to health and business of tobacco. Mr. Matakala says it is up to the government to decide whether to ban the growing of tobacco or not failure to which JTI will continue to grow tobacco for more years to come. Challenges of classrooms have hit Msekera Secondary School in Chipata district. This follows government’s decision to upgrade the school from a basic to a secondary school. Parents Teacher Association PTA Chairperson Misheck Jere has appealed to parents to pay user fees so that the school can use some of the money to build a 1 by 3 classroom block. In an interview with Breeze News, Mr. Jere says the school has challenges of classrooms for pupils from grades one to seven. Mr. Jere says the school has asked parents to pay 100 kwacha for pupils who are in grade one up to seven while those in grade eight to twelve are supposed to pay 700 kwacha per year. And Mr. Jere says that construction works on the lab at the school are about to be completed so that it can be operational. The lab whose construction work started last year is being roofed after about 76 iron sheets were bought. Over 12,000 males in Eastern Province targeted for circumcision. The Ministry of Health has targeted to circumcise 12, 050 males in Eastern Province during the male circumcision month. This is according to figures in the latest update on the Ministry of Health Facebook page. Ministry of Health spokesperson, Kennedy Malama, who also confirmed the figures to Breeze News, says that the 12, 050 is out of the national target of over 108, 000 males. Lusaka has the highest target of over 21, 400, followed by Western Province, which has over 19, 900. He says other targets are over 15, 000 for the Copperbelt, over 13,400 for Central, 12,000 for Luapula, with the North Western having over 8, 000. Meanwhile, in Southern Province, Dr. Malama says the Ministry targets to circumcise 7,000, males while over 5, 000 are targeted in Northern Province. He has encouraged men to go for circumcision, saying it prevents HIV transmission from females to males by at least 60 percent, while also reducing the risk of penile cancer, improving hygiene in males and reducing the risk of males transmitting human papilloma virus, which increases the risk of cervical cancer in women.